1. 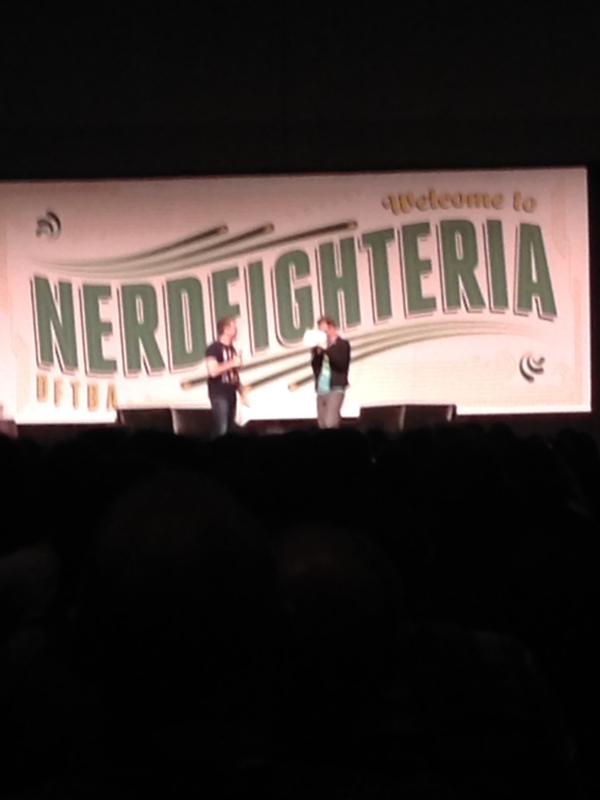 Being in the same room as Hank and John Green. I started watching the Vlogbrothers’ Youtube channel back when I was in seventh grade. Middle school was a tumultuous time, and the sense of community that Nerdfighteria provided me was invaluable in getting me through. John inspired and captivated me with his novels, Hank made me laugh endlessly with his jokes and songs, and their videos were four minute-nuggets of happiness. I owe so much to these brothers and it was absolutely surreal to see them standing on that stage in front of me, being their genuine and hilarious selves. 2. All of the Pizza Johns and Hanklerfish. Never before had I seen so many of these strange and lovely creations all in one place. 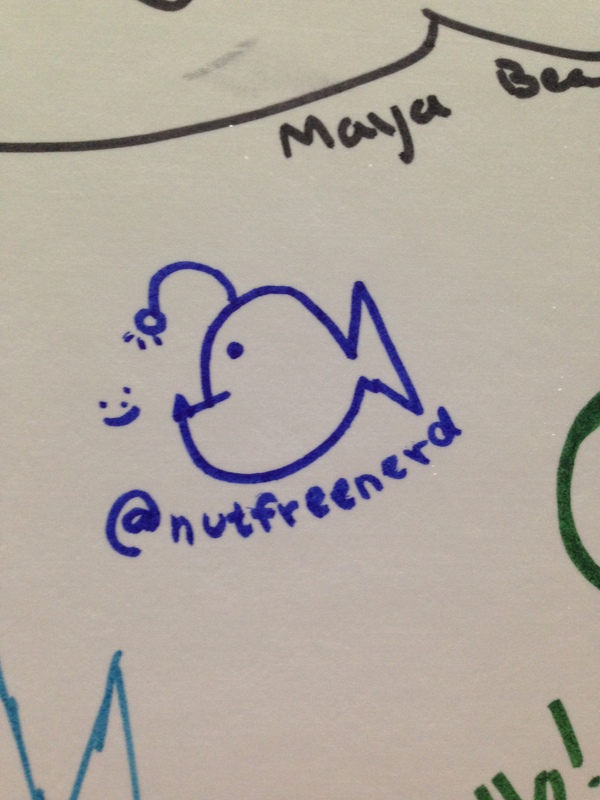 I even drew my own Hanklerfish on the Hanklerfish wall! 3. Being introduced to so many new Youtubers and content creators that I never knew about. There’s nothing better than discovering even more fantastic people to follow! From musicians and writers to Youtubers and artists, I’m so excited to delve deeper into their work (as soon as all of this homework lets up, that is!). 4. Talking with Sabrina and the Nerdwriter. I’ve been a fan of Sabrina (NerdyandQuirky) for quite some time, so it was awesome to actually meet her in person. 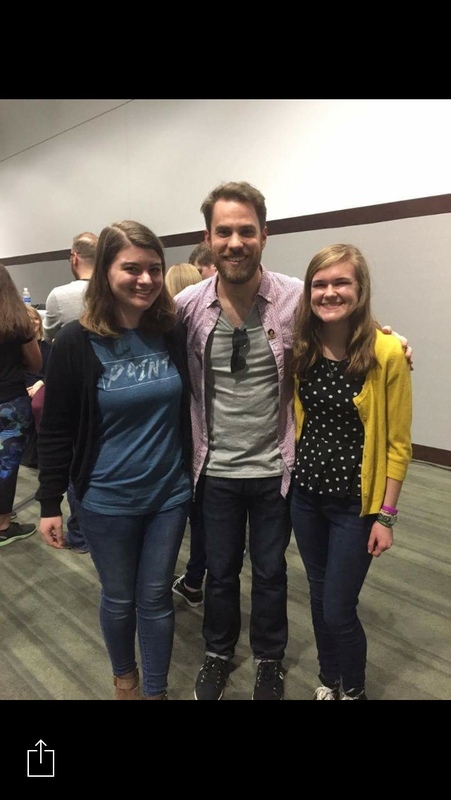 I also got to meet the Nerdwriter (Nerdwriter1), who was an absolute joy to talk with. 6. Being surrounded by so many people who genuinely love nerdy things. Sometimes it’s easy to forget how wonderfully nerdy the world really is. NerdCon was an important reminder that we’re not alone in being unabashedly nerdy, quirky, and passionate about the things we love. 8. Seeng Harry and the Potters perform live. 9. Feeling the overwhelmingly positive support of the Nerdfighteria community. Nerdfighteria is truly a community of people unlike any other. A sense of togetherness pervaded the atmosphere of the convention, and everyone was so friendly and kind and thoughtful to one another. It made me proud to call myself a Nerdfighter! 10. The warm and fuzzy sense of nostalgia and gratitude that continually washed over me throughout the entire day. 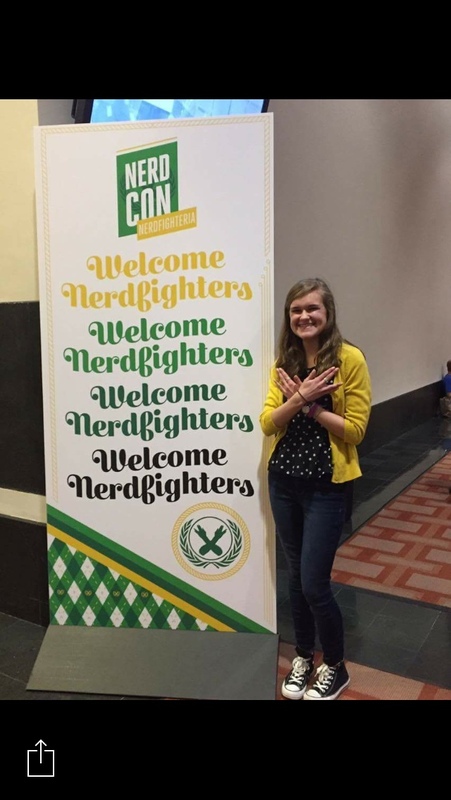 It’s not an understatement to say that Nerdfighteria has shaped my life in too many ways for me to count. This day took me right back to my middle school and high school selves, those younger versions of myself that found comfort in the content produced by John and Hank and all of the people associated with their incredible community. I am unbelievably grateful to Hank and John for all that they have done!! If you ever get the chance to go to NerdCon, I have two words for you: DO IT!! 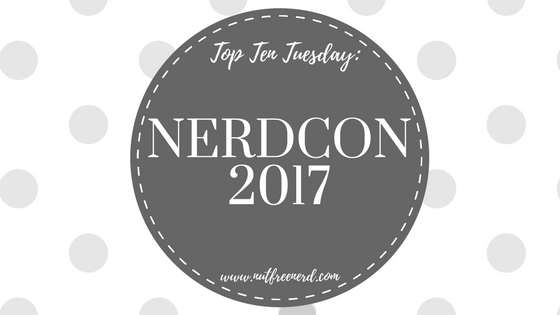 Hope you’ve enjoyed this quick summary of my amazing experience at NerdCon 2017! What are your thoughts on NerdCon? Let me know in the comments section below! Also, where are you going to university next year? In the U.S.? Thank you!! 🙂 Which Comic Con did you go to? I’ve only ever been to the one in Rhode Island, which is pretty small (but still a blast! ).